Naperville, IL WW/Press/September 27, 2017 – Joon Sun DMD,MPH with White Eagle FamilyDenistry was recognized as a Top Doctors of North America – 2018 – by The Who’s Who Directories. The accomplishments and achievements attained by Joon Sun in the field of Dental Health Care warrants inclusion into the Top Dentist of North America. White Eagle Family Dentistry offers exceptional dental options such as cosmetics, braces, periodontal, crowns, implants, veneers, whitening, root canal therapy, dentures, Invisalign, TMJ, and much more. The practice works hard to relieve your pain and resolve your dental problems. With a gentle touch and a compassionate nature, Dr. Joon has become one of the leading cosmetic dentists in the area. She has been in the dental field for nearly thirty years. Dr. Sun received a DMD (Doctor of Dental Medicine) from Harvard University, a MPH(Masters in Public Health) from Harvard University, and a BS in Biology from Mt. Holyoke College. She completed her general dentistry residency program at St. Francis Hospital in Hartford, Connecticut. Since then, Dr. Sun has been in private practice for more than twenty-four years. Dr. Sun is a member of the Chicago Dental Society, Illinois American Dental Association, Christian Dental Society, and the International Association of Orthodontics (IAO). She is also involved in missions for Jamaica with the Great Pointe Naperville Church. For many years, she and her family traveled with a team of dentists and hygienists to provide free dental care to the people of Jamaica. Every month, Dr. Sun travels to downtown Chicago to provide free dental care to the homeless through the Pacific Garden Mission. She received the Readers Choice Award from Glancer Magazine, for 2014. Dr. Sun enjoys providing many areas of dentistry, she strives to provide the highest quality of dentistry to the whole family. She is passionate about her work and her patients. In keeping with this commitment, she attends continuing education seminars to stay abreast with the latest techniques and technology in dentistry. Dr. Sun and her husband have three daughters and a son: Christina in medical school, Katie a senior in college, Michael in high school, and Lauren in junior high school. Outside of the office, she and her husband are busy keeping up with the extracurricular activities of Michael and Lauren. 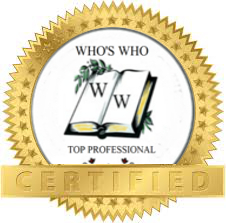 Be the first to comment on "Top Professional – Joon Sun – Who’s Who Directories"